My niece Lily is beautiful–willowy, with big liquid brown eyes, long stunning mahogany hair. She loves to dress in an understated way–grays, blacks, and plums, in solids and stripes. She is turning 11 (okay, she already turned 11 and I’m late sending the gift, but who doesn’t like a late birthday present in the mailbox?). 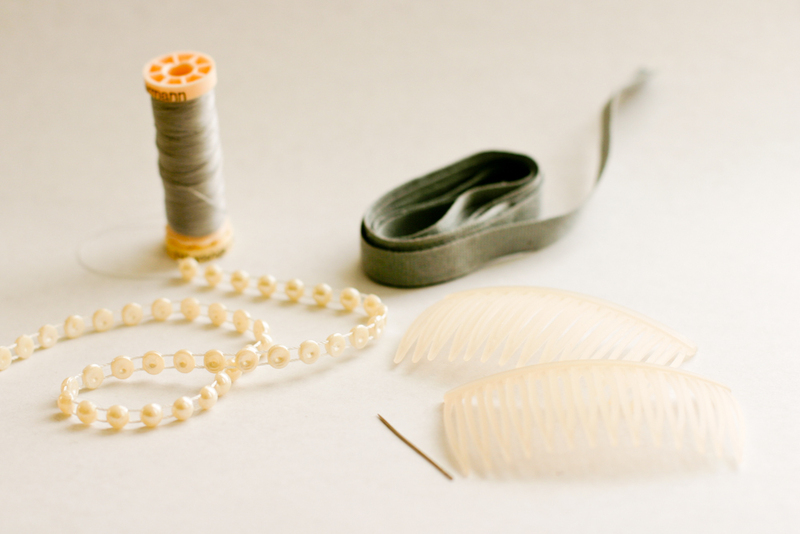 When I was thinking about making something for her, I couldn’t get away from thinking how beautiful the cream pearls would look against her brown hair. For more easy to make handmade gifts with free tutorials and patterns, check out my year of handmade gallery here, or by clicking below. 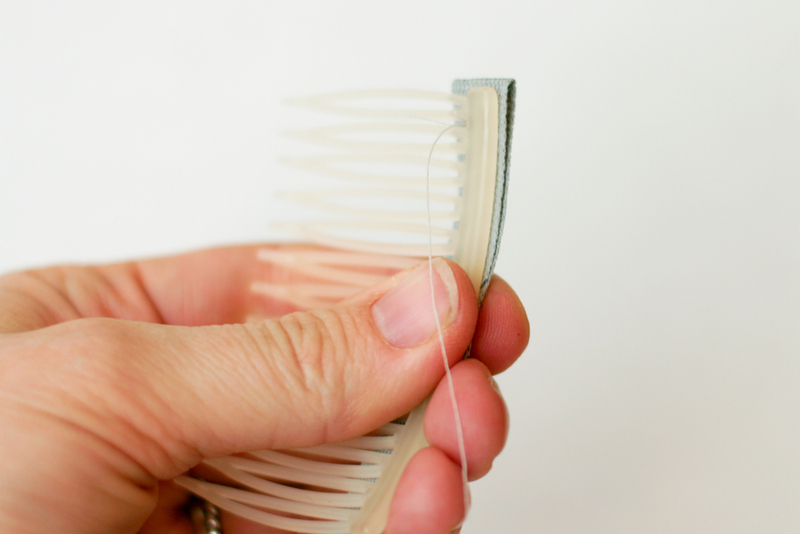 Cut twill tape to cover the comb length twice, angling ends to meet in the middle. 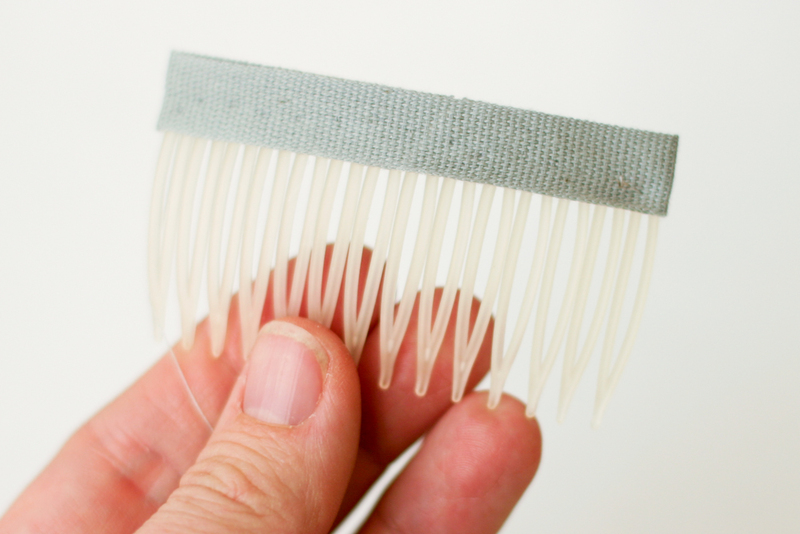 Sew tape to comb, matching folded edge of the twill tape to the edge of the comb. 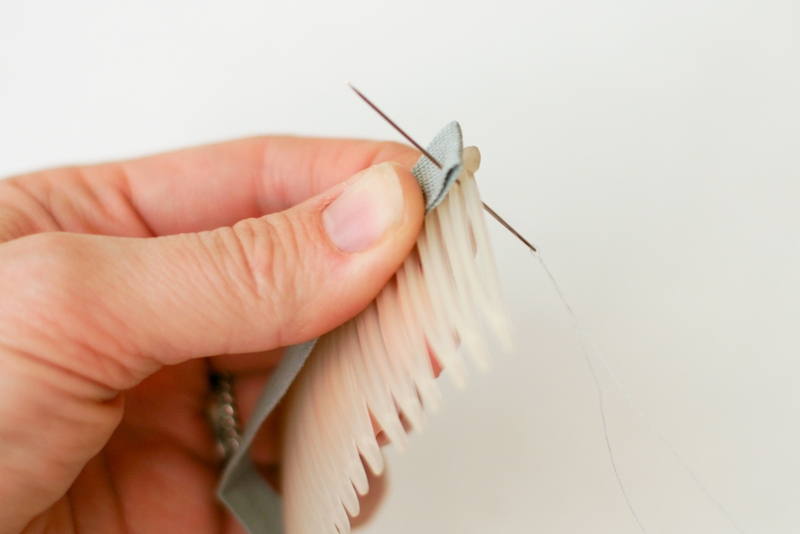 Attach the twill tape to the comb with thread and needle by going in between each comb tooth and taking a small bite of the twill tape so you can’t see the stitch. 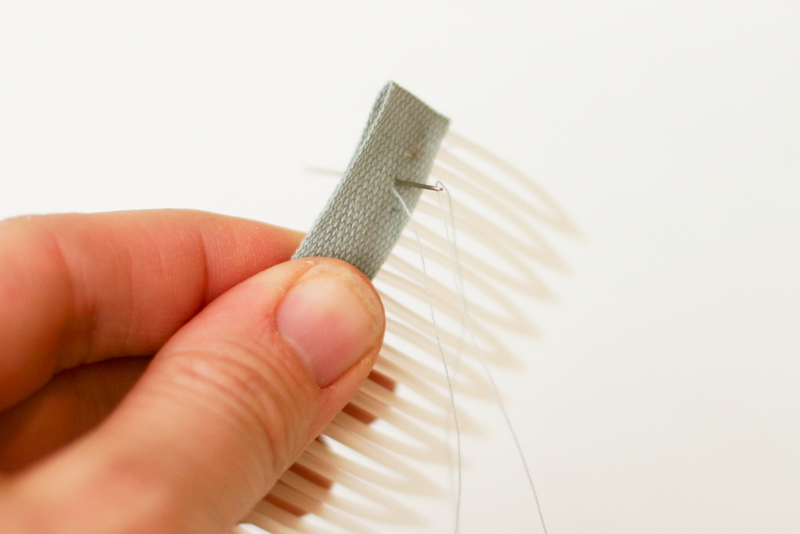 You will come to the back between the same comb teeth, but now cross the next comb tooth and repeat the small stitch in the twill tape. 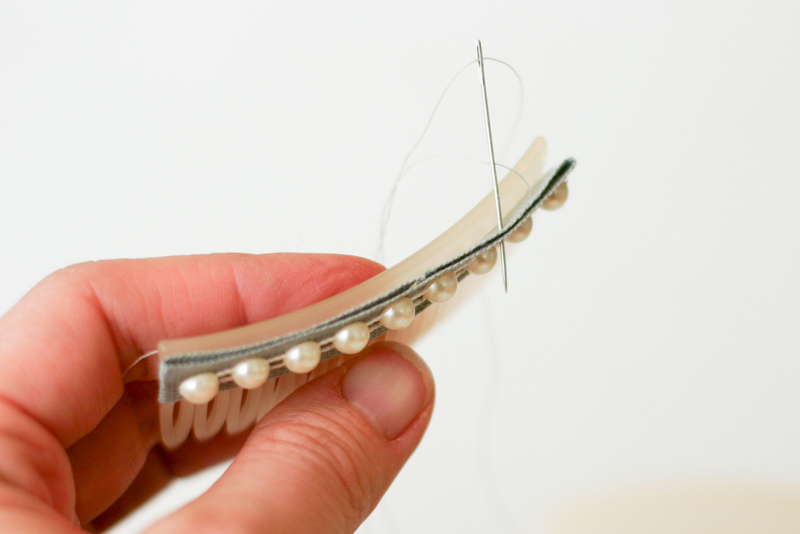 Cross to in between the next two comb teeth, stitch, repeat. The stitches should look like this. 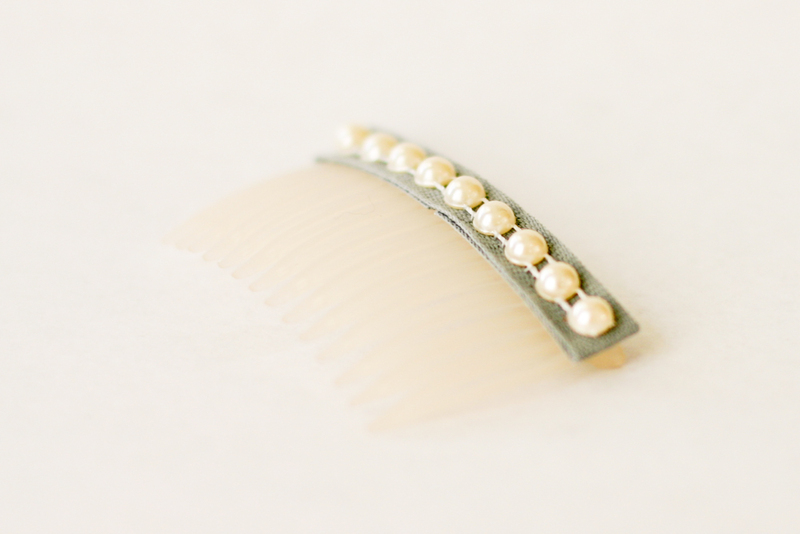 The front of the comb should look like this. 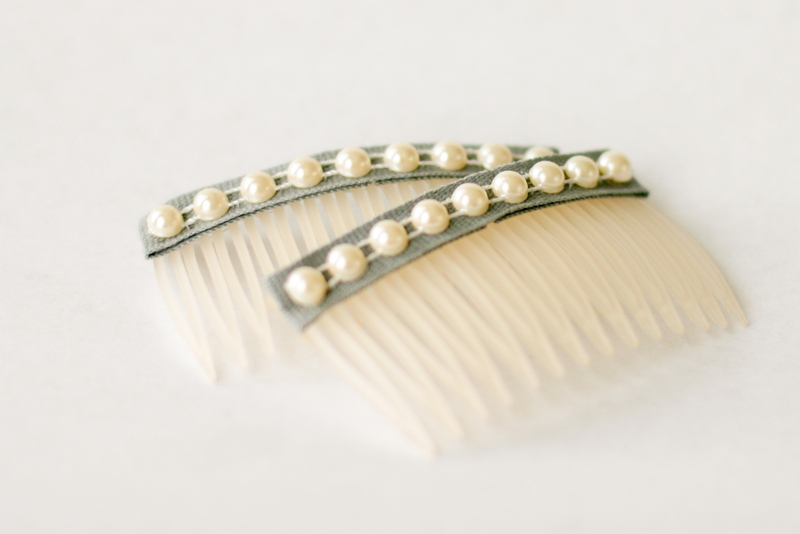 Measure the pearl trim to fit the comb. 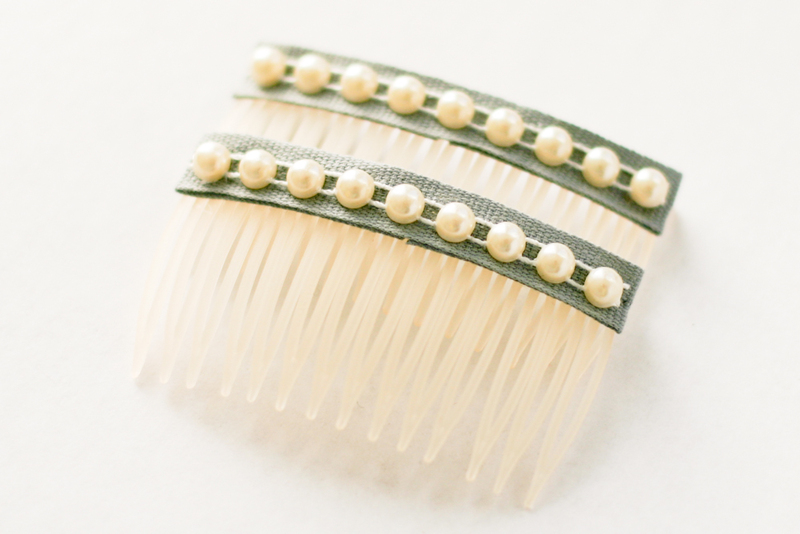 Sew the bottom line of the trim to comb in between each bead. 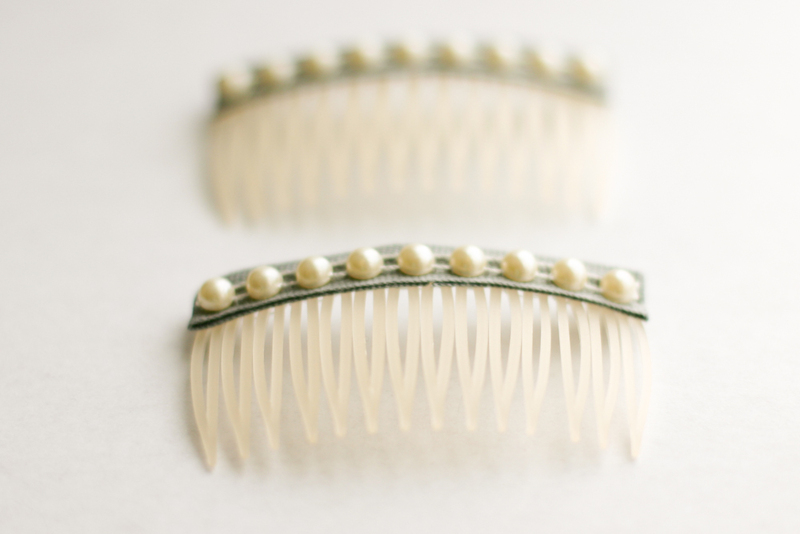 You will be going around the comb teeth again. 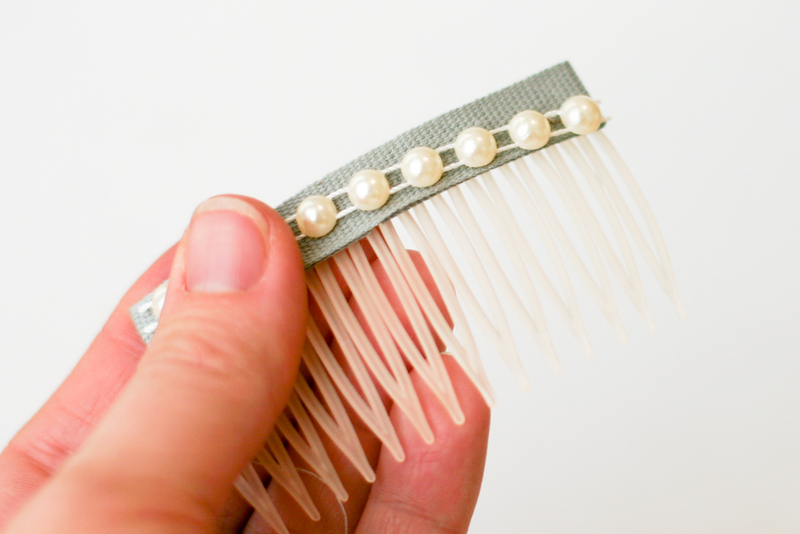 For the top part of the trim, go in between the comb and the twill tape to attach. 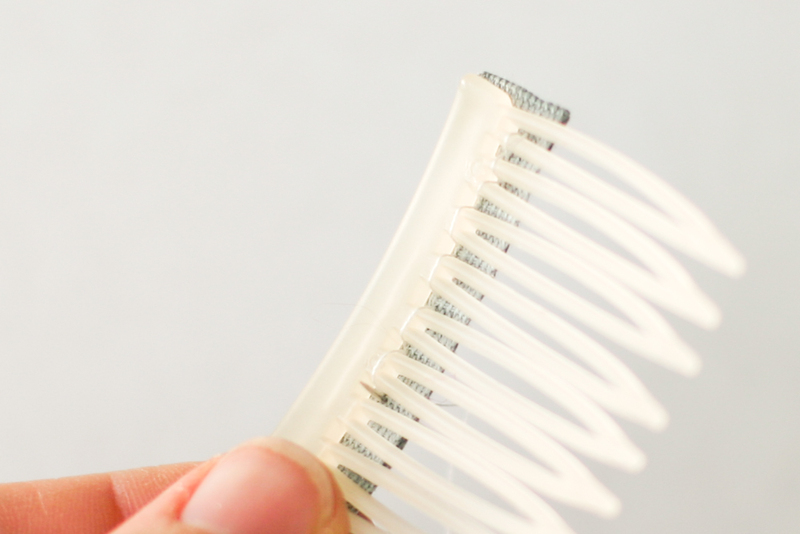 Repeat for a second comb, and finis! 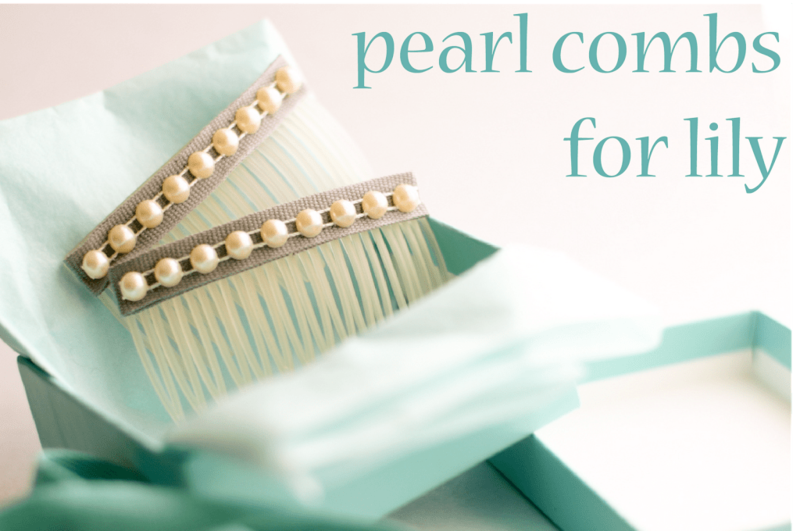 I also loved the gray and pearl next to this robins egg blue tissue paper and box. Pretty! Thanks you two! I love them, also! These are so sweet! 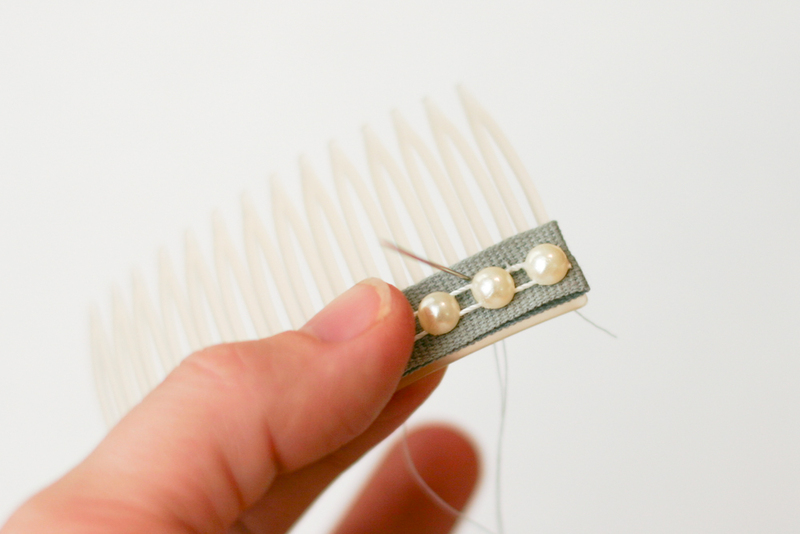 Do you think it would also work if you glued it rather than sewed it? Christina, I do think it would work if you glued it. 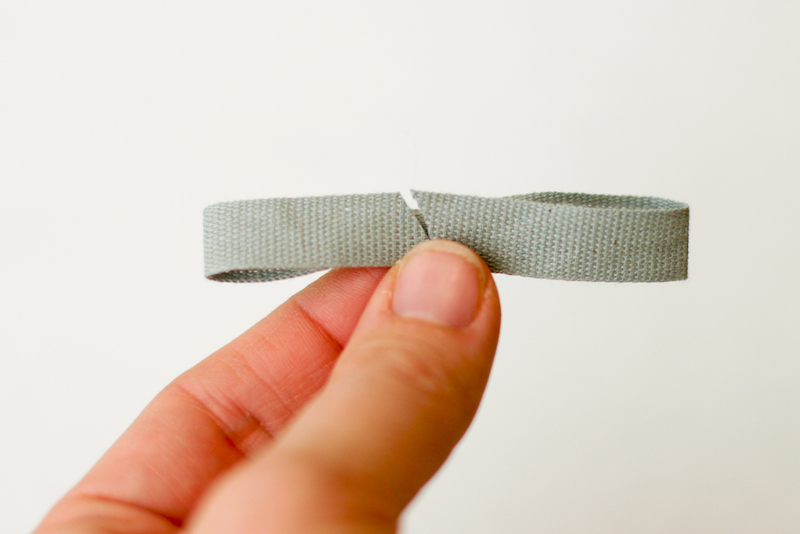 Sometimes glue doesn’t last as long, but it sure does the job quicker! Let me know if you try it. I fell upon you site while checking the world of linseed and flax. My flax growing friend site is http://www.thecourtofthesilverking.co.uk i hope you will enjoy it. he does so many things with flaxfibre linen. Wow, gorgeous but simple project. I hope your niece loves them. Wow, what a pretty and cool idea! 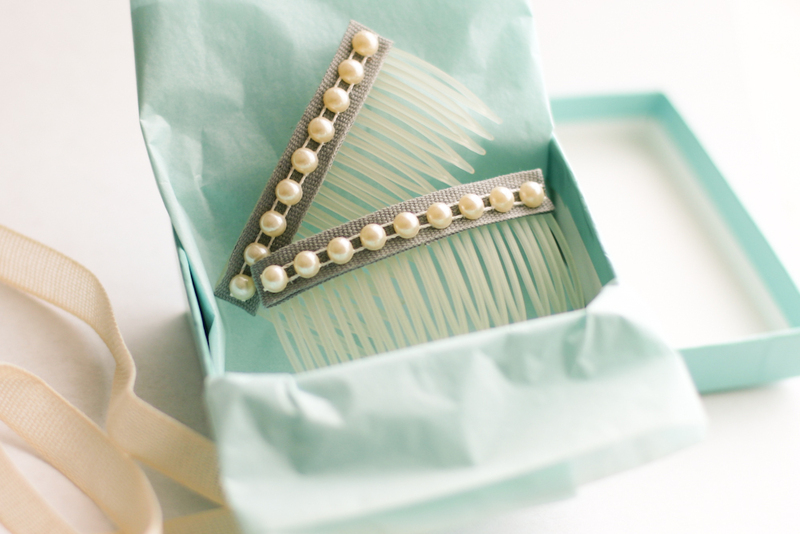 Neat execution too, I really like the fact you used needle and a thread instead of glue. Makes it so much better. I LOVE This idea! I hope you don’t mind I included it in a list post that links back to your page. I hope you like it!